I am sure we only just escaped with our lives. 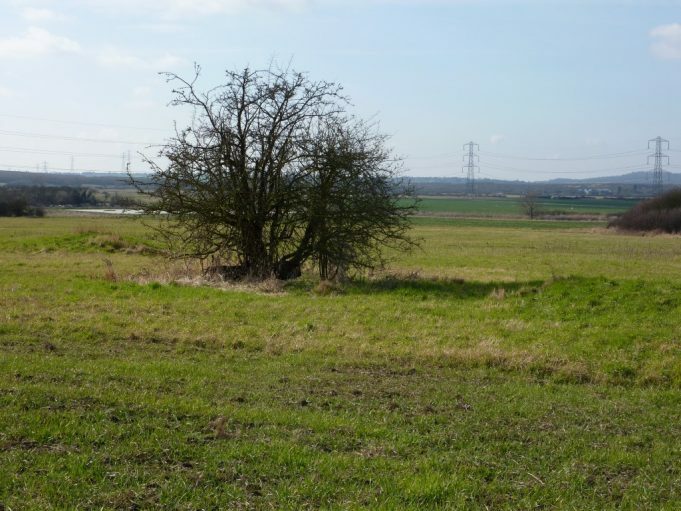 The picture shows the old Bowers Gifford Golf Course in 2012 now part of the soon to be opened RSPB site, where Peter Freeman and his friends were the day they skipped school. Peter was an insurance agent at the time of the Canvey Floods. Peter’s musical start at The Essex Regiment Cadet Force Band. V2 rocket crashes on the Benfleet Downs. Skipping school and watching three German Junkers aircraft destroy an oil storage area only to have them shot down a short distance from him. 3m 29s. I thought for a moment this was going to be confirmation of one of my memories of Bowers Gifford school, when one afternoon a damaged barrage balloon had passed over the school heading towards Pitsea and towards the Thames, with a Messerschmidt 109 buried inside it, part of the fuselage and tail plane visible. It was the tailplane that identified it with its two distinctive struts.